As shipping industry is a key market for our company, we applied for type certificate for our motors. On April 2017, DNV GL certified our 3 main motor series (K , AK, AB). 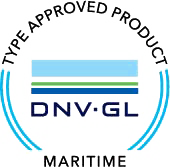 So now we can serve the shipping industry with type certified products approved from DNV GL class.